National 2nd Amend. Political & Legal Discussion Discuss national gun rights and 2A related political topics here. All advice given is NOT legal counsel. 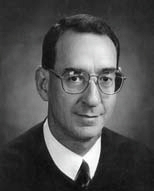 Eric D. Miller became the 9th circuit court of the Appeals court. He's nominated by the POTUS. I wonder if he's a conservative judge or liberal judge. I couldn't find much info on him. If he was liberal leaning he wouldn't have lasted more than 2 minutes clerking for Clarence Thomas. He clerked for Clarence Thomas. Maybe one day he will replace him on SCOTUS. And he has BS in Physics from Harvard. Really helps with ability to think rationally. Trump has made 3 appointments to the 9th so far, 5 vacancies remaining to be filled, plus there are 6 liberal judges 70+. If even a couple of these elderly liberal judges retire and Trump rams through the 5 vacancies, we could end up with a balanced court. Already liberals can't count on winning en bancs. A glimmer of hope for the future of those living in the 9th's jurisdiction, hooray! Didn’t he appoint some Hawaiian judge who was anti-gun that didn’t get very much attention till it was already done? See below from the first page of this thread, emphasis mine. blue slips, which, as you say, are a tradition, not a requirement. Trump has ignored blue slips before and he'll need to do it again for his California and Oregon appointments. What, California and Oregon appointments? Why can't he pick anyone from anywhere? Why did he need a Hawaiian resident for a judge?
. 28 U.S. Code § 44. This is because there needs to be a federal circuit judge in every state to deal with matters in that state such as injunctions. The CA9 is in San Francisco but judges maintain offices in every state in the circuit. That means some judge seats must come from certain states. Again, blue slips are a separate issue, which are a tradition, not a law, but 28 U.S. Code § 44 is a law. He had zero real choice with Bennett. There aren't enough conservative attorneys in Hawaii with the level of experience needed. Bennett was the one and only option. And he needed to be a Hawaii resident because of the law as I said. Thank you for quoting me on that! I will add there's another issue, which is duty stations, where a judge must not only reside in a certain state, but in a certain area. However, Hawaii has only one duty station which is the entire state, so that's not really a factor there. But that is another factor to consider if you're ever asking yourself, "how did this unknown person get nominated to be a judge at the circuit level". Judges spend 3/4 of their time in their duty station dealing with mundane issues like bankruptcies, which don't have anything to do with bigger constitutional issues. BTW, I analyzed, are there ANY other candidates in Hawaii who were qualified, and the answer is no. There are almost no Republicans in Hawaii who have been elected to any office. I looked for the intersection of Republican, elected to any state-level office in Hawaii, who are attorneys, and who are not too old, and there was only one guy within the intersection of that Venn diagram. I guess he could have found a private practice attorney but a) having some public experience is important and b) there would be even less of a partisan record for such a private attorney and c) it would be hard to find a solid conservative private attorney in Hawaii. For all these reasons, Bennett was not a mistake. the Judiciary Committee will hold a hearing on Wednesday for Daniel Collins and Kenneth Lee, nominees to fill two vacant California seats on the 9th Circuit, prompting backlash from Sens. Dianne Feinstein (Calif.), the top Democrat on the panel, and Kamala Harris (D-Calif.), a fellow committee member who is running for the party’s 2020 presidential nomination. Once these 2 are on CA9, there will still be 3 openings with 2 nominees to go: Bade, Bress and an open seat. Never mistake being delusional for being optimistic. 230+ examples of CCWs Saving Lives. Last edited by Paladin; 03-12-2019 at 9:02 PM..
With all due respect, this is not close to true. There is no requirement, formal or otherwise, for a COA appointee to have been elected to office. Indeed, the vast majority of federal appellate judges have not been, nor were they former state court judges. I am a litigator, and former BigLaw partner at on of the 10 largest firms in the country; three professional acquaintances of mine have been appointed to Circuit Judgeships with no prior judicial, elected, or even academic experience. The President could have easily selected a qualified and 2A-friendly candidate from among the attorneys in private practice, at the US Attorney’s office, and at the UH law school. . . .The President could have easily selected a qualified and 2A-friendly candidate from among the attorneys in private practice, at the US Attorney’s office, and at the UH law school. Trump is sort of naive on some of this stuff. He literally may not know what he can do. But if his advisers explained things properly as you did, it might have been deemed politically advisable to follow the course he did (I don't claim to know why). BTW, I'm pretty sure that even a SCOTUS justice is not required to have attended law school. I could technically be appointed to the SCOTUS even though I've never even visited a law school. Yes, you'd not likely to get many votes for me, however. But heck, if I were on the SCOTUS I could get some good clerks, shut up during orals, and just vote with my clerks. If my clerks were fascists the media would consider me to be a legal genius! CGN's token life-long teetotaling vegetarian. Not qualified to give any legal opinion so pay attention at your own risk. So that's a current margin of 17-7 with 5 current vacancies to hopefully be filled by Trump, however that still leaves us with the score at just 17-12. The confirmation of Neomi Rao to the U.S. Court of Appeals for the District of Columbia Circuit, on a 53-46 vote, as well as Paul Matey earlier this week to the Philadelphia-based 3rd Circuit, now means one out of every five appeals court judge will have been nominated by Trump. Now, just nine vacancies remain in the circuit courts, which handles the vast majority of cases that never reach the Supreme Court, and Trump has nominated candidates for six of them. Senate Majority Leader Mitch McConnell (R-Ky.) could muscle through confirmations by midyear, leaving few openings if a Democrat wins the White House in 2020. There is little that McConnell prioritizes more in the Senate than confirming judges. In the first two years of Trump’s presidency, the GOP-led Senate successfully installed two justices to the Supreme Court, as well as 30 circuit court judges and 53 judges to the lower-level district courts. So far this year, the Senate has confirmed a half-dozen circuit court judges. And of the six remaining circuit judges who have been nominated by Trump, three have cleared the Senate Judiciary Committee and are awaiting a confirmation vote in the full Senate. The panel also held hearings for two nominees to California-based seats on the 9th Circuit Court earlier Wednesday — Daniel Collins and Kenneth Lee. Both are opposed by the state’s two Democratic senators, Dianne Feinstein and Kamala Harris, but are likely to be confirmed anyway. Finally! H ya. Love this turn of events. The Senate has scheduled a vote next week on a procedural motion to end debate on the nomination of Magistrate Judge Bridget Bade to serve on the U.S. Court of Appeals for the Ninth Circuit. Bade would be the fourth of Trump’s appointees to the San Francisco-based court, which he’s criticized as being too liberal after rulings against him in highly publicized immigration controversies. Three others are in the Ninth Circuit pipeline as part of a drive by Trump and the Republican-led Senate to reshape the judiciary with conservatives. Thirty-six of Trump circuit nominees have been confirmed so far, six this year. Despite her clerkship for conservative Fifth Circuit Judge Edith Jones from 1990 to 1991, Bade has drawn far less criticism than Miller and other Trump nominees attacked for being too conservative. The Alliance for Justice, a progressive organization that has opposed many of Trump’s nominees, “strongly” opposed Miller in its background report but said only that Bade’s record should be carefully examined. Five Democrats on the Senate Judiciary Committee, including Ranking Member Dianne Feinstein of California, voted to approve her nomination. None voted in favor of Miller. Bade received the highest possible rating of “Well Qualified” from the American Bar Association’s Standing Committee on the Federal Judiciary. Sen. Jon Kyl, a Republican, in 2006. Allow firearms in National Parks. him with $250 contribution in 2006.... So there's That. 17-12 isn't bad compared to the current 17-7. Not ideal, but a big step in the right direction. 9th Circuit Court of Appeals nominee Daniel Bress was born and raised in Gilroy, Calif., but has lived all but one year of his adult life on the East Coast. California’s Democratic senators, Dianne Feinstein and Kamala Harris, argue that should disqualify Bress from filling a California-based vacancy on the court, the largest and busiest in the country. Even South Carolina Republican Lindsey Graham, the chairman of the Senate Judiciary Committee, said that could be a problem. “Having a nominee to the circuit court with very little connection to California bothers me,” he said. University of Richmond Law Professor Carl Tobias, an expert on judicial selection, said Bress’ nomination may spark concerns among Republicans that they could one day face a similar situation in their home state. Both constitutional and practical reasons make residency such an important issue.. The constitution gives senators the power of “advice and consent” over judicial nominees. Home state senators have traditionally played a critical role in screening and approving a president’s picks for federal courts in their state. The Senate Judiciary Committee held a hearing for California 9th Circuit court nominees Kenneth Lee and Daniel Collins on March 13. The committee has not yet scheduled a hearing for Bress. Neither Graham nor the White House would comment on any further discussions about his nomination. But Tobias said he’d “be surprised to see them pull back from it,” given the risk of a backlash from right wing activists. “It depends on Graham, really, and how much he’s willing to go to bat” on the issue. Frankly, I hope they expand it and then divide it! U.S. judicial leaders are proposing to add five additional judges to the Ninth U.S. Circuit Court of Appeals in San Francisco, an expansion that would make it theoretically possible - though politically unlikely - to shift the majority on the nation’s largest federal appellate court from Democratic to Republican. The U.S. Judicial Conference, composed of judges from the nation’s federal courts, issues recommendations to Congress every two years to expand the judiciary to keep up with the courts’ increasing workload. This year’s plan would add 60 judgeships — 22 of them in California — to the heavily backlogged District Courts that handle trials, and would increase the number of Ninth Circuit seats from 29 to 34. The circuit hears appeals from federal courts in California and eight other Western states. The Ninth Circuit now has 24 judges, 16 appointed by Democratic presidents and eight by Republicans, including three by President Trump, who has called the court hostile and biased for its rulings against him on issues such as immigration, birth control and transgender military service. Trump nominations to fill the court’s five vacancies are awaiting votes in the Senate, and the creation of five additional seats in the next year would bring the total of judgeships to 34 — and the potential number of Republican appointees to 18. The court’s expansion would require approval from Congress, which last passed a comprehensive bill to enlarge the federal judiciary in 1990 and added a single seat to the Ninth Circuit in 2008. Legislation to expand the courts during Trump’s presidency could be blocked by a Democratic filibuster in the Senate or by the Democratic majority in the House. Judicial Conference recommendations have gone nowhere in Congress because “whoever doesn’t have the White House doesn’t want to give the opposition party vacancies to fill,” said Carl Tobias, a University of Richmond law professor who follows court nominations closely. Last edited by Paladin; 03-19-2019 at 2:37 PM..
Cloture evoked, final vote coming soon. Senate Confirms Bridget Shelton Bade To 9th Circ. Law360, Washington (March 26, 2019, 7:04 PM EDT) -- The Senate confirmed another of President Donald Trump's choices for the Ninth Circuit on Tuesday, approving U.S. Magistrate Judge Bridget Shelton Bade of Arizona with bipartisan support. Last edited by Paladin; 03-26-2019 at 6:19 PM..
And there are six active judges who were Clinton or Obama appointees who were born in the 1940s. One or more of them is very likely to be replaced by Trump, esp. if Trump get a second term. I think if we count three Trump nominees already confirmed to the 9th Circus, plus Ms Shelton, plus three more to go, that's 7 conservatives placed on the Circus. While that isn't a majority (I forget how many active judges sit on the Circus), it'll still have a big impact for years. Everyone should also consider that, if Trump gets a second term, it isn't likely that Ginsburg will survive, or stay, another 6 years (2 years to go on his first term, then another 4), and he will then appoint a 3rd conservative to SCOTUS. That, friends, will be very significant. Ginsburg made a strategic mistake: she should have retired during the Obama Administration, and the second mistake was she bet on Hillary becoming President. It is crucial, in all this, to hold a Repub majority in the Senate in the 2020 election. LOL at the suggestion that Mark Bennett is a conservative. Every Democratic senator voted for his confirmation, and more than half the Republicans voted against him. Pipe dreams about the 9th? It's solidly democrat controlled and will be for at least the next 20+ years. If you look at the current composition of CA9, and look at the active judges (i.e., non-"Senior"), who were born before 1950, if Trump gets a 2nd term and the GOP keeps the Senate during that time Trump could flip CA9 to conservative, replacing 6 more Dem judges with conservatives! After Thomas's term ends in two years, the Chief Judge (who sits on all en banc panels) will be an Obama appointee through 2042. Murguia, Nguyen, then Owens. The Senate is poised this week to consider two more conservative nominees selected by President Trump to sit on the left-leaning 9th Circuit Court of Appeals -- and the top Democrat on the Judiciary Committee isn't happy about it. That's because the nominees, Ken Lee and Dan Collins, were picked without any input from either Dianne Feinstein or Kamala Harris, California's two Democrat senators. Traditionally, the White House seeks to obtain a so-called "blue slip," or approval, from a judicial nominee's two home-state senators before pressing on with their nominations. But the Trump administration, which has successfully nominated several conservative judges to the 9th Circuit already, has pointedly disregarded that process as it continues its push to transform the appellate court that the president repeatedly has derided as hopelessly biased and "disgraceful." "I take it that without notice or discussion, the blue slip is essentially dead," Feinstein, the ranking member on the Senate Judiciary Committee, said in televised remarks on Thursday. Among those nominees was Seattle attorney Eric Miller, who was confirmed to the 9th Circuit in February by a vote of 53-46. Progressives fiercely attacked Miller as a corporate lawyer and Federalist Society member whose career supposedly had been hostile to Native American rights. Following Miller's confirmation month, in an analysis titled "Thanks to Trump, the liberal 9th Circuit is no longer liberal," The Washington Post noted that once all of Trump's current nominees to the bench are confirmed as expected, there will be 12 Republican-appointed judges on the 9th Circuit, which consists of 29 full-time judges. When Collins and Lee are on the 9th, they'll be 13 and 14 out of 29. When Bress is on, that will be 15 out of 29. When O'Scannlain's open seat is filled by Trump, that will be 16 out of 29 -- 55%!!! By electing Trump, we will have turned CA9 from a solidly Leftist/liberal circuit to a majority conservative/constitutionalist one! Now, think of what would have happened (and happened to our 2nd A RKBA) if Hillary had won. That's just in re. to the judiciary of CA9. Then add in her 2 SCOTUS picks (I'm sure Kennedy wouldn't have minded retiring in her first term.) Last, add in anti legislation and Executive Orders she would have pushed after the mass shootings over the past 2 years (LV, TX, FL, etc). If you believe in God, and even if you don't, you should give a prayer of thanks that Trump won and pray he wins again. Last edited by Paladin; 03-31-2019 at 10:34 AM..
Big Picture in getting back our 2A Rights..
Last edited by Paladin; 03-31-2019 at 10:26 AM..
No. Collins and Lee would be #10 and #11. Bress would be 12, and O’Scannlain’s seat would be #13. There are 16 judges on the 9th appointed by Obama and Clinton. There will be no majority until some of those judges take senior status, retire, die, are removed, or the size of the court is increased. The 9th now, SCOTUS when they finally admit that Ruth died. Unless a law-abiding individual has a firearm for his or her own defense, the police typically arrive after it is too late. With rigor mortis setting in, they mark and bag the evidence, interview bystanders, and draw a chalk outline on the ground. But the victim, nevertheless, is dead, or raped, or robbed, or traumatized. Ah, right you are! In my excitement missed the part in the FOX story that said, "The Washington Post noted that once all of Trump's current nominees to the bench are confirmed as expected" that gives us 12 out of 29 (40%). Last edited by Paladin; 03-31-2019 at 10:32 AM.. Absolutely. Plus she absolutely would have created at least 30 million new US citizens. All illegal aliens (estimates range from 10mil to 20mil) would be made permanent resident, on track to citizenship, and she would have insisted on handing out 2mil or more greencards per year to anyone who isn't white. Her Supreme Court would also find that non-resident aliens (ie, everyone in the world who isn't here) have standing to sue for visas, which would mean we can't deny anyone a visa, and would result in the biggest land rush ever in human history. With 30 million new citizens and millions more arriving every year, all of them overwhelmingly Democratic, this country would lose any resemblance to a first world western nation. While things won't be as good as I thought, they won't be very bad. 13 out of 29 non-Senior judges is 45% of the judges who can serve on an en banc panel. That helps to explain why CA9 granted an en banc appeal of Young and took the (unprecedented?) step of selecting the judges who will make up that panel a year to a year and a half before it will convene (stayed pending SCOTUS NYSRPA decision). Chief Judge Thomas wanted to select the panel before "Trump judges" could tilt CA9's non-Senior judge composition and perhaps determine whether we win or lose Young. The bolded is still not exactly right. Senior judges who were on the original panel are eligible for the en banc lottery. And the Chief Judge, who will be a Democratic appointee for at least the next 20+ years is already automatically a member of he en banc Court. So assuming Trump gets 4 more appointees confirmed, there would actually be somewhere between 15 of 30 (if there were two R-nominated Senior judges on the original, 3-judge panel) and 13 of 30 (2 D-nominated Senior judges) R-nominated judges in the pool to be selected for the 10 remaining slots. Of which we need to draw 6 2A-friendly judges. Last edited by LVSox; 03-31-2019 at 3:20 PM..
would make sense... the issue of dividing the 9th has been an issue for the past decades. In March 2007, Associate Justices Anthony Kennedy and Clarence Thomas testified before a House Appropriations subcommittee that the consensus among the justices of the Supreme Court of the United States was that the Ninth Circuit was too large and unwieldy and should be split.